Gregory Stevens was called as full-time Associate Pastor for Faith Formation and Family Life in August 2015. 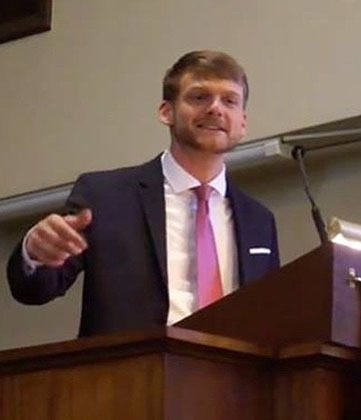 A Florida native and a graduate of the University of South Florida, Greg completed his Master of Divinity degree at Claremont School of Theology in southern California in May 2015. He has background in pastoral leadership and community organizing, having worked with congregations in Florida and southern California as well as with Young Life. He received outstanding recommendations and references for his creativity, vision, hard work, and ability to relate to people, among other desirable qualities.